Our journey to Simunye Zulu Lodge, located deep in the heart of KwaZulu Natal, began at a trading post, where you can choose to venture down into the Mfule River Valley via truck, horseback or ox cart. We chose the latter, though I'm not sure I'd recommend it to others after an hour of the hottest, slowest, bumpiest (not to mention slobberiest) ride you can possibly imagine. The scenery along the way was excellent, with acacia trees dotting the lush green hillsides all around us. Still, we were glad when our cart reached the bottom, where we were greeted by our guide/translator and shown to our rustic rock rooms, which were built organically into the sides of the cliffs overlooking the river. Despite the lack of electricity, the accommodations suited our surroundings perfectly, and the fact that we were the only tourists there at the time gave it an air of exclusivity. At 6pm we met with our guides at the main gate of the Zulu village, where we were greeted by the Chief (whose forefather led the Zulus to victory against the British in the famous battle at Isandlwana) and given a brief tour of their village. We were taken inside a traditional hut and given some bitter Zulu beer and homemade sausage, with the men expected to eat and drink before the ladies (clearly women's lib had not made it to remote South Africa at that point). After that, it was time to head over for dinner, just as the sun began to set behind the surrounding hills. I honestly could not tell you anything about the food, although I do remember there was some sort of stew, chicken and vegetables involved. 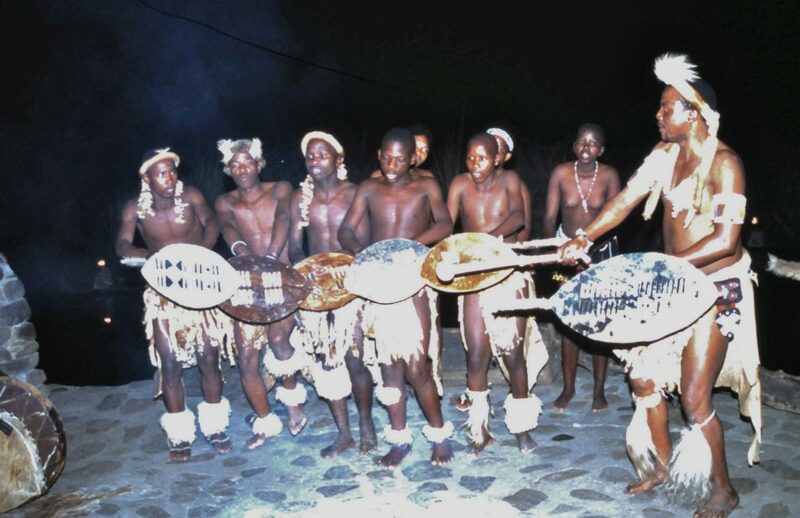 I was too entranced by the performance the Zulus were putting on in front of the open pit fire, singing some amazing polyphonic harmonies that reverberated off the hillsides and blended with the sounds of crickets and frogs all around us. Bare-chested teenage boys and girls came out in traditional dress to dance by the fire, eventually encouraging us to join them in kicking as high above our heads as possible without falling on our butts, and giggling at our efforts. 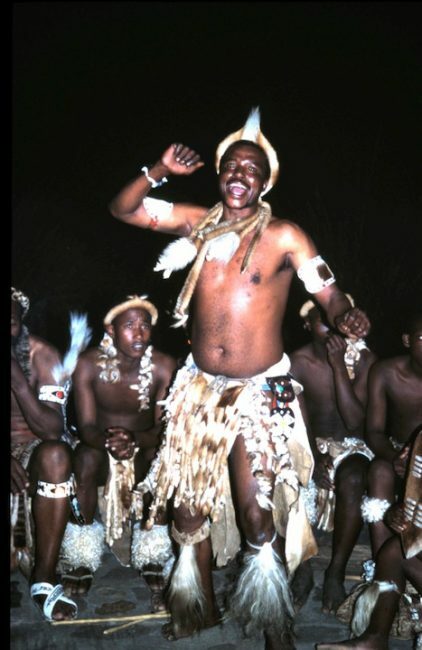 Eventually their performance ended and a single Zulu musician with a guitar took a seat on the log by the fire. As we finished our desserts and drinks, I zoned out of the conversation at the table as the music grabbed hold of my attention and refused to let go. If you've ever heard Paul Simon's Graceland or the music of Ladysmith Black Mambazo, you probably have a solid idea of the South African folk music tradition, which contains elements of gospel, soul and even funk. But hearing it in this particular setting, sung passionately in his native language by a man who had never in his life lived anywhere outside this valley in the middle of nowhere, moved me in a way that words can't possibly describe. A longtime fan and student of African music (I've actually contributed to several world music reference guides), I soon found my fingers tapping out a rhythm on the table, and without even thinking about it I asked our guide if the musician would mind if I jammed with him. Next thing you know, I'm sitting next to him on that log by the fire, playing percussion with a knife on an empty Coke bottle, singing call-and-response harmonized vocals by mimicking the lyrics phonetically, with the musician (whose name I later learned was Malsothosotho) staring at me in amazement. Before long, the Zulus were coming across the bridge from their village, gathering around to hear the weird white man singing the traditional songs of their people. There were many smiles, and much applause. The moment could only be described as magical. The next morning I was still feeling high on the energy of our impromptu jam as Malsothosotho serenaded us on guitar while walking us over for a guided tour of the village. 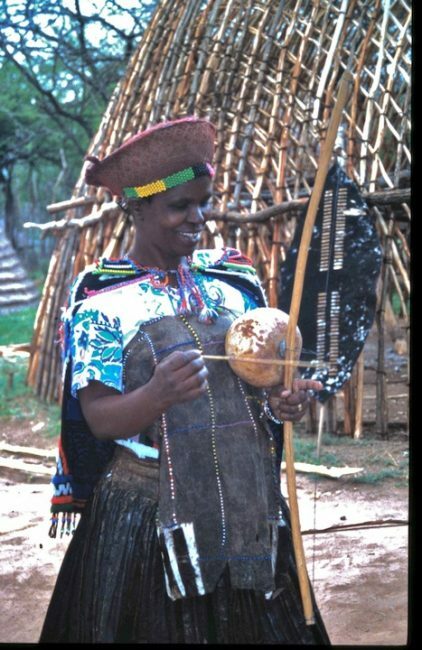 There, we learned about the traditional culture of the Zulu, from how they used natural materials to construct their thatch huts to the exercises Zulu warriors used to get themselves ready for battle. Bret Love is the co-founder/Editor In Chief of Green Global Travel, a web-based magazine devoted to ecotourism, nature/wildlife conservation and the preservation of global culture. He's also a veteran freelance travel writer with more than 18 years of experience, whose work has appeared in the Atlanta Journal Constitution, AirTran's Go, American Airlines' American Way, Amtrak's Arrive, Destination Marriott and more than 50 other national and international publications. Visit GreenGlobalTravel.com for more info. 14 Responses to "Zulu Memories: Losing Myself (and Finding Hope)"
Thanks for choosing our post to launch your series, guys! We’re truly honored. 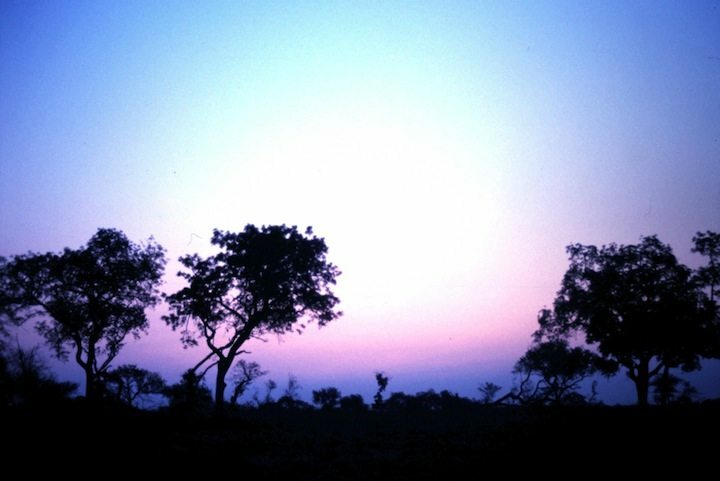 If you go to Simunye, I’d also HIGHLY recommend a visit to Phinda Private Game Reserve in KwaZulu Natal. It offered a very different safari experience from what we’d seen in Kruger, and the parent company (&Beyond) was a trailblazer for ecotourism in Africa. Thanks for sharing Bret, it must have been an amazing moment. And thanks for the extra information. We are heading to Kenya next year so who knows, we may be back in South Africa sooner than later. I have great respect for Zulu people because they are genuine. I’d love to hear their music one day. Hey !Can, it would have been an amazing experience wouldn’t it. When we go back to South Africa, we are definitely seeking out the Simunye Lodge. Bret has already inspired me to try something different. A zulu jam session…absolutely awesome.